The factory batteries are all gone. 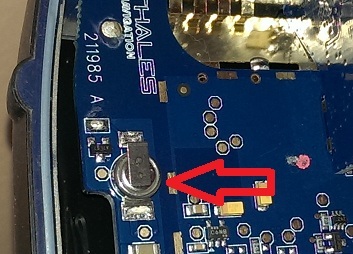 I checked with the manufacturer in China and the outer mold that was used to build batteries for Thales and Magellan Professional is unusable, thus original equipment batteries are far too expensive to build. However, there are a number of replacement batteries available on eBay. Search for “ProMark 3 Battery” or “111141 battery” and you should get a fairly large list of them. This [ item ] is available for $18.45 including shipping. They are shipped from a location in the United States. Batteries are also available with free shipping from Hong Kong [ here ] for a slightly higher price. I suspect that the cell life is not as good as the original batteries, however what choice do you have? …sit down, grab a beer and take a deep breath…. 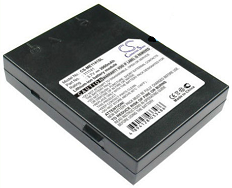 We (iGage) believe that the internal battery backup batteries in these receivers are reaching the end-of-life now. The voltage is 3 volts when the batteries are new, on the five receivers that I opened and checked this week, the voltage was 0.4 Volts or less. We replaced the batteries in a couple of units and sure enough, they track SV’s in a minute or two after having batteries removed for a while. You can get around the lost ephemeris issue by turning the receivers on 15-minutes before you need to use them and let them acquire SV’s with the internal antenna while you are driving to the job. You can also keep a charged main battery in the receiver and swap them quickly when exchanging. But there is a danger in not replacing the batteries: they can leak acid which can eat the adjoining traces. Luckily the batteries are not too big, so they don’t leak much. 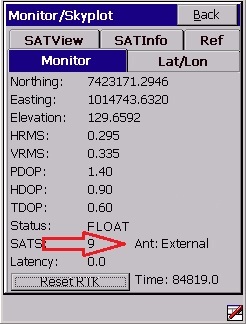 So even if an external antenna is plugged in, it will not be reported until AFTER a position is displayed. If your battery is dead and you have to wait for 5-minutes for the PM3 to track SV’s, then it may appear that the external antenna is faulty. Not so.